Once Upon A Flutter will indulge your stationery cravings with their notebooks, pens and pencils, desk accessories, gifting options and other awesome products. Harry Potter stationery, notebooks and journals, customised stationery. 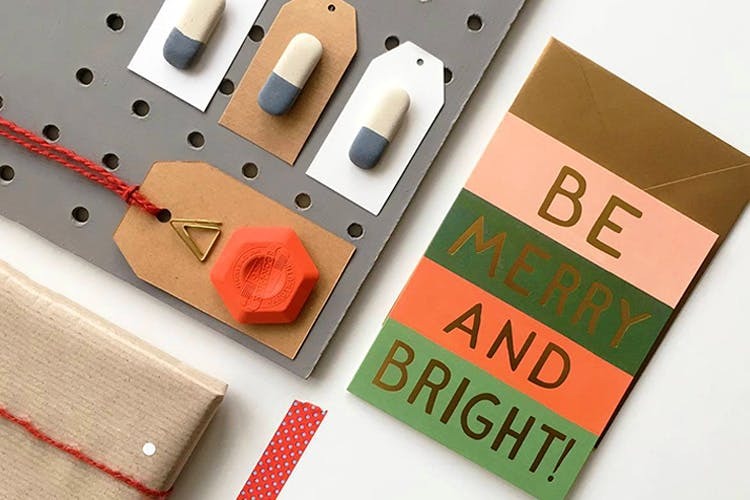 Once Upon A Flutter (great name, by the way) has the kind of products that create an instant craving to hoard stationery–the colours, the prints, the designs, everything looks amazing. We browsed through their website with their printed and quote notebooks catching our attention first. The colourful pairs of scissors, cat-shaped paper clips, and hexagonal erasers came next in our to-hoard list (yes, it's a long one). The confetti balloons are right up there as well. They've also got a Harry Potter collection for all the fans–you'll find a pack of badges that we love, Hogwarts branded notebooks, and postcards with proclamations on them (all of this is official studio merchandise and not created in house). We found some of their products to be a little on the expensive side. They also do customised stationery for bulk or corporate orders; you'll need to make an inquiry with them for that.